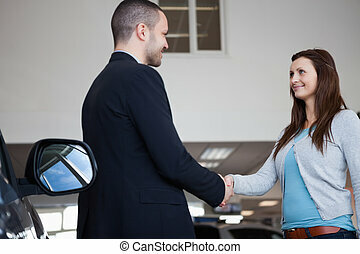 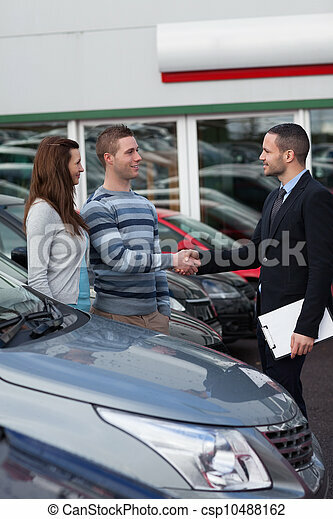 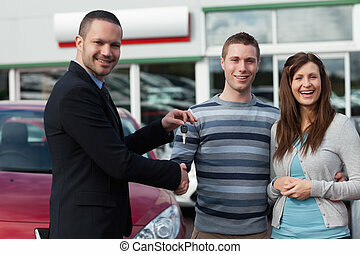 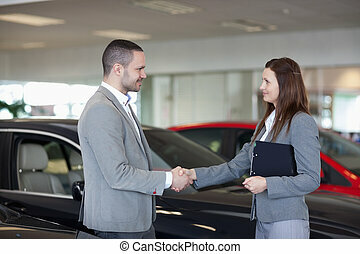 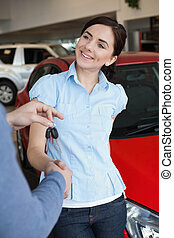 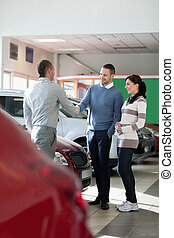 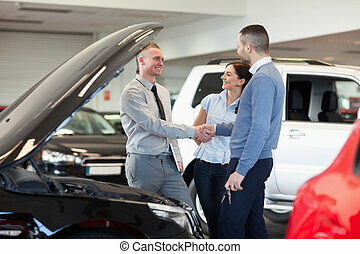 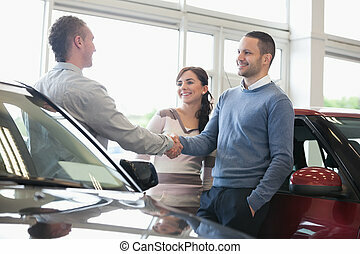 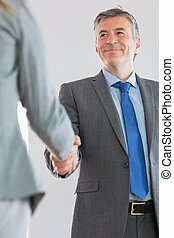 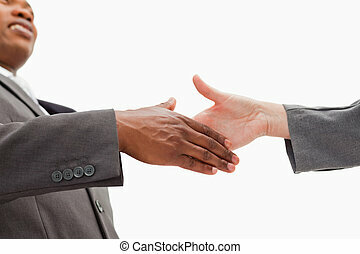 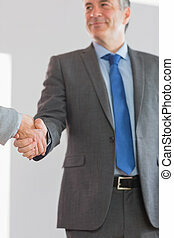 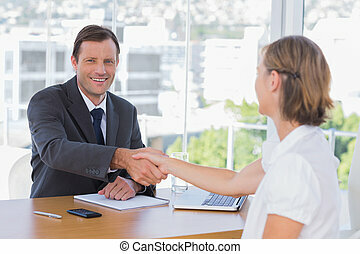 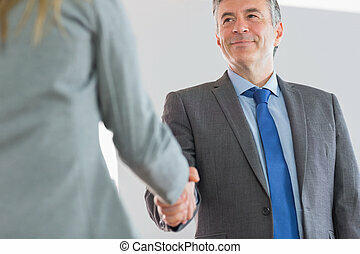 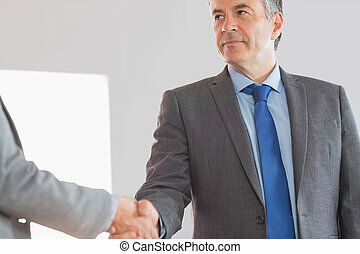 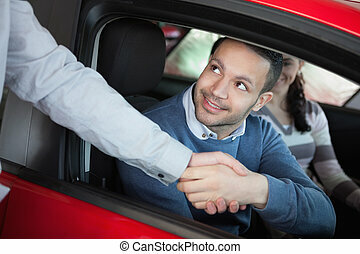 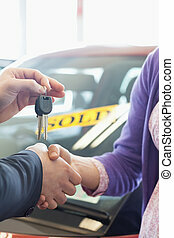 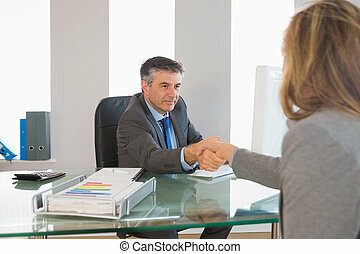 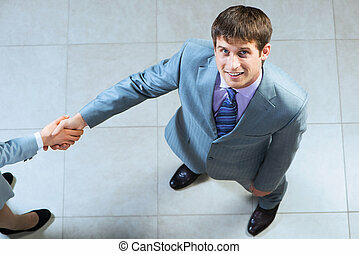 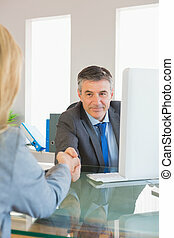 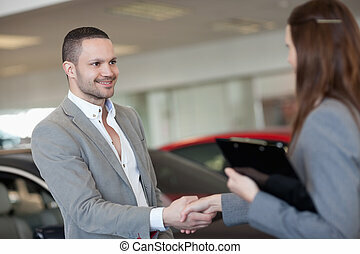 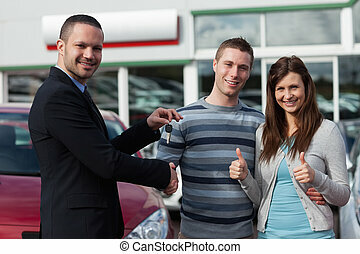 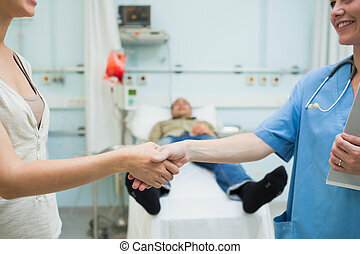 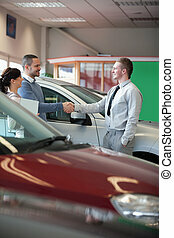 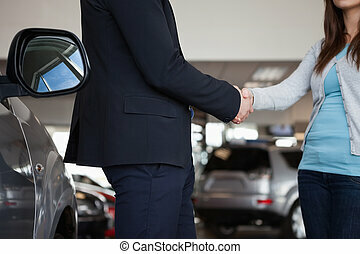 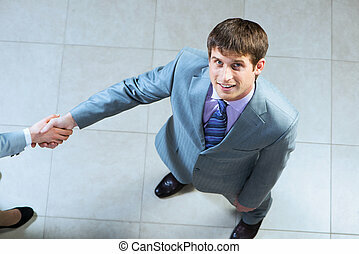 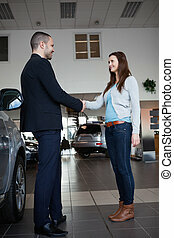 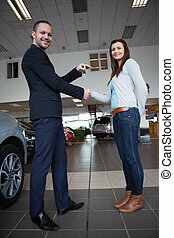 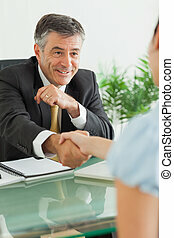 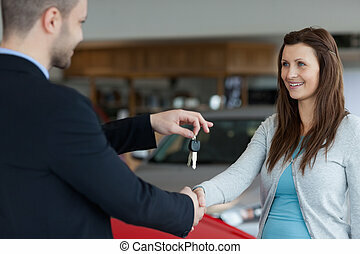 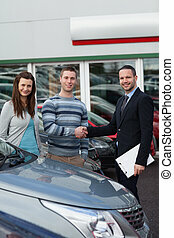 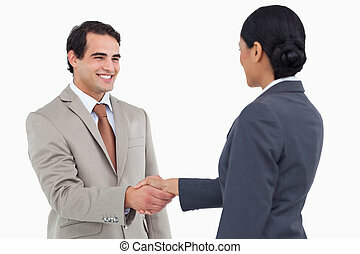 Businessman shaking hand of a man in a dealership. 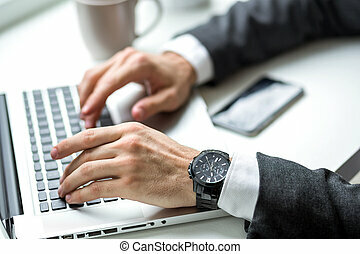 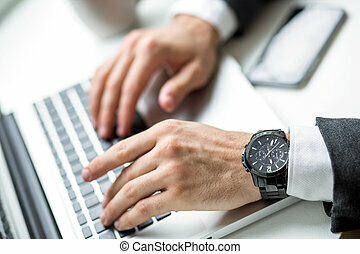 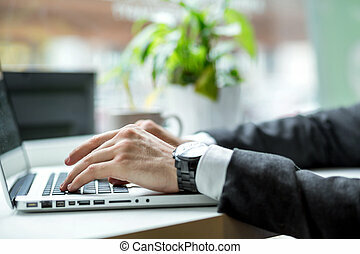 Hand of a business man while working on a laptop. 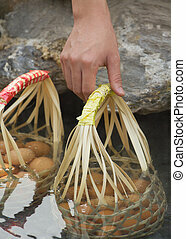 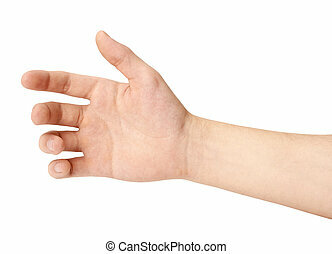 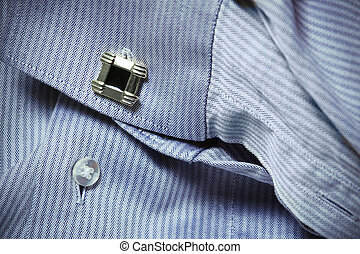 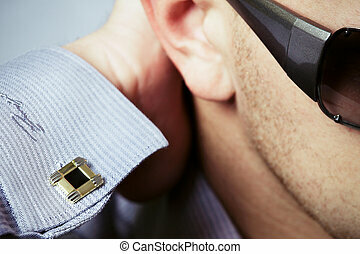 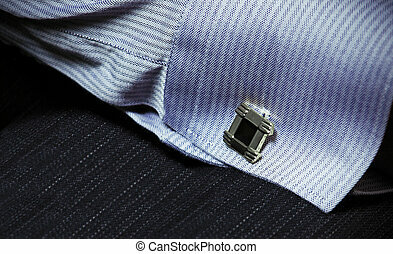 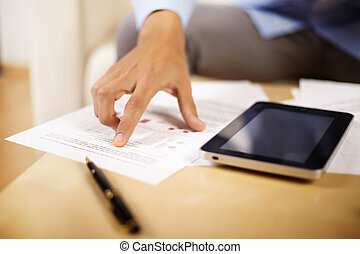 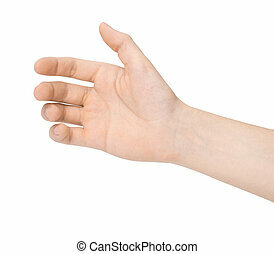 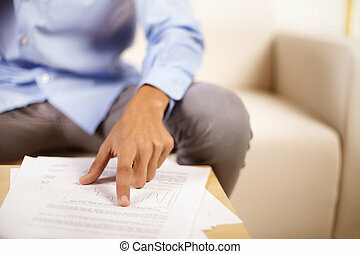 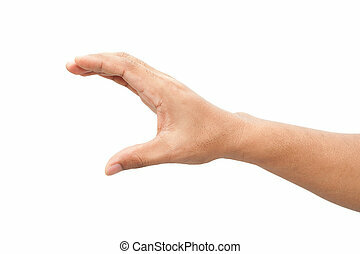 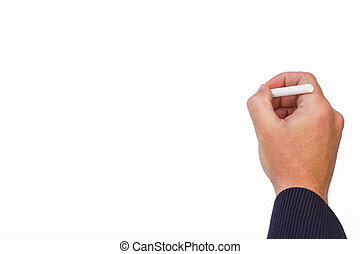 Hand of a young businessman reviewing documents.